Monday, April 8th - Game of Thrones - Are you ready for the final epic season of GOT? Then don't miss Trivia on Monday, April 8th at Village. Test your knowledge and get ready for season 8. Get here early to snag a seat and pre-game. We'll be tapping our last keg of Ommegang King In The North Barrel Aged Imperial Stout just for the night. Come raise a glass and toast the one of a kind Trappist ale Orval on March 23rd at Village Bottle Shop & Tasting Room. We are proud to host Orval Day again this year in Honolulu celebrating this classic beer. Orval sells one beer, brewed to exquisite perfection within the walls of Notre Dame d’Orval Monastery in Belgium. It’s delicious when it leaves the brewery, but also evolves in the bottle for five years or more. Hoppy with a vibrant floral bitterness when fresh, but as this beer ages the "Brett" aka brettanomyces, a yeast variety that adds a funky, sharp acidity and dryness takes hold and works its’ magic. We’ll have lots of Orval bottles available to purchase to take home or open in the shop. It's a SALT at Our Kaka‘ako Block Party. Join us for a very speical St. Patricks Day celebration on Saturday, March 16th with a massive beer garden at Village Bottle Shop & Tasting Room pouring lots of Guinness, Harp and Jamison Irish Whiskey. Hop around to our neighbors PITCH SPORTS BAR Bevy The Boiling Crab and grab some killer grub from Butcher & Bird: Corned beef link with House sauerkraut, Brown Mustard, Dill Pickle Spear and Potato pancakes with Ali‘i mushroom hache, Parmesan cream, Green onion. Live musical performance by 3 Leaf Clover kicks off at 5 p.m. Don’t forget to check out the unique mix of restaurants and stores that make SALT at Our Kakaʻako urban Honolulu’s most exciting destination. Existing users can receive 20% off two rides to and from the Bar Crawl by using the code, SALTBARCRAWL2. 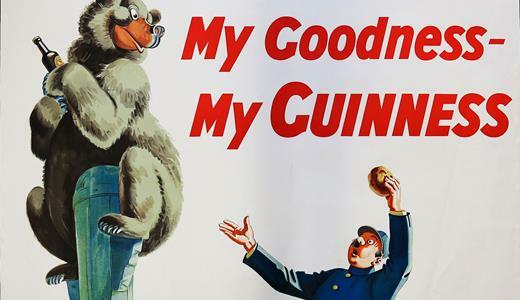 Come raise a glass of Irish Gold and take home some collectable classic Guinness glassware featuring the iconic brand campaigns from the 30's and 40's. Join us at Village Bottle Shop & Tasting Room on Friday, March 15th from 5-11pm to get a free pint glass with every Guinness you order. Collect all four awesome glasses! This is the perfect way to kick off Saint Patrick's Day Weekend in Honolulu with a Friday night pau hana filled with Guinness. 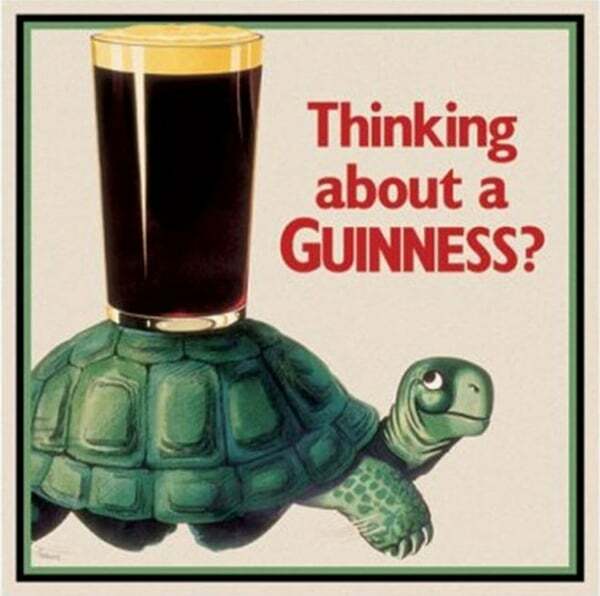 It'll also get you prepped for our HUGE beer garden on Saturday with live music, food and even more Guinness. 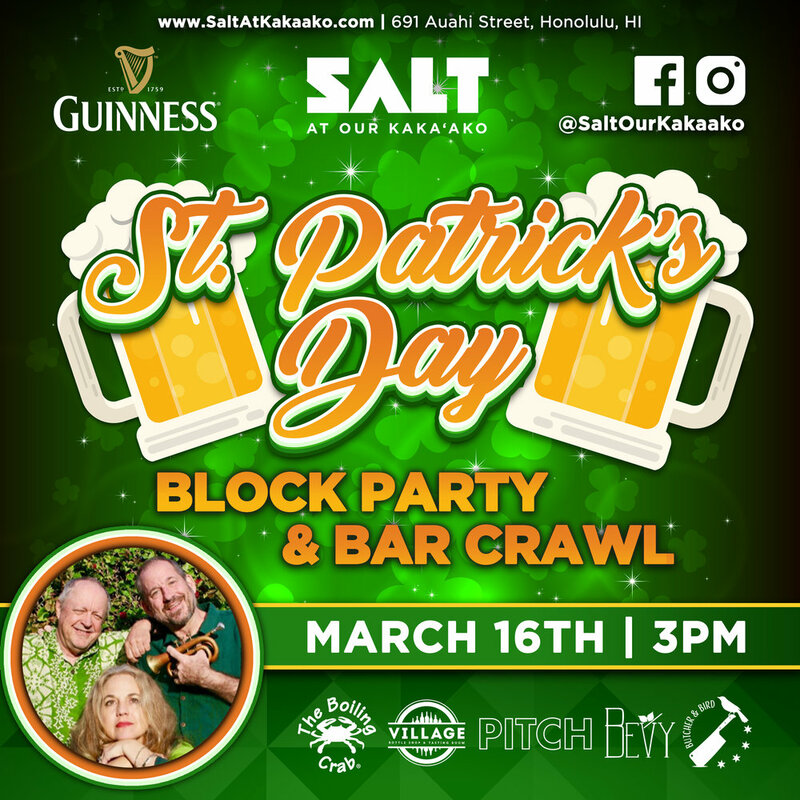 Don’t miss the SALT at Our Kaka’ako St. Patrick’s Day Block Party! A tad bit of history on these cool illustrations that are featured on these cool glasses. 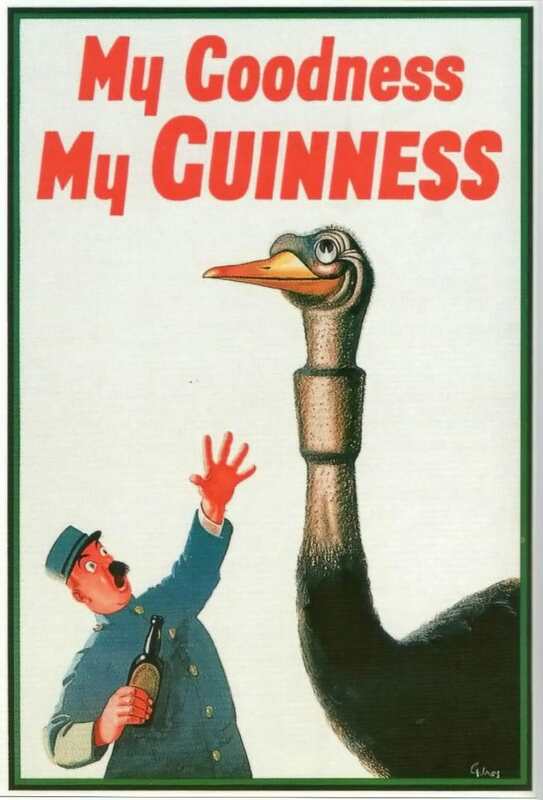 John Gilroy, an art director at Benson, started working on the Guinness account in 1930 and illustrated almost all of Guinness' advertisements for thirty years. 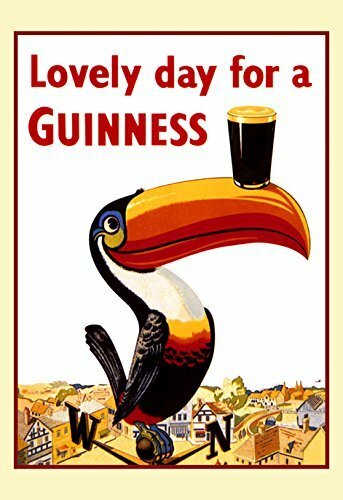 First featured in a 1935 ad from Gilroy's zoo animal series, the toucan would become almost as synonymous with the Guinness brand as the harp on the label. Monday, March 25th - 80’s Rock & Roll - Time to bust out your favorite jams from the 80’s and relive the HAIR! Get ready to sing a long and test your knowledge of 80’s Rock & Roll. Knowledge questions as well as name that song and finish the lyric audio questions. It's a night that has long been overdue! We're teaming up with our awesome neighbors Hungry Ear Records to host a Vinyl Night every month at Village Bottle Shop & Tasting Room. Live records + rad craft beer = pure happiness! We're kicking Vinyl Nights off on Tuesday, March 5th, with the crew from Hungry Ear taking turns playing some of their favorite albums and tracks. If you're a record collector and love vinyl this is the perfect evening to get together with other enthusiasts to share your passion and listen to some jams! We're planning on doing this on the first Tuesday night of ever month. As the night grows we encourage you to bring your own albums to share and play with everyone. Drink specials and always validated parking at SALT at Our Kaka’ako. Add some Thunder to your Valentine’s Day. 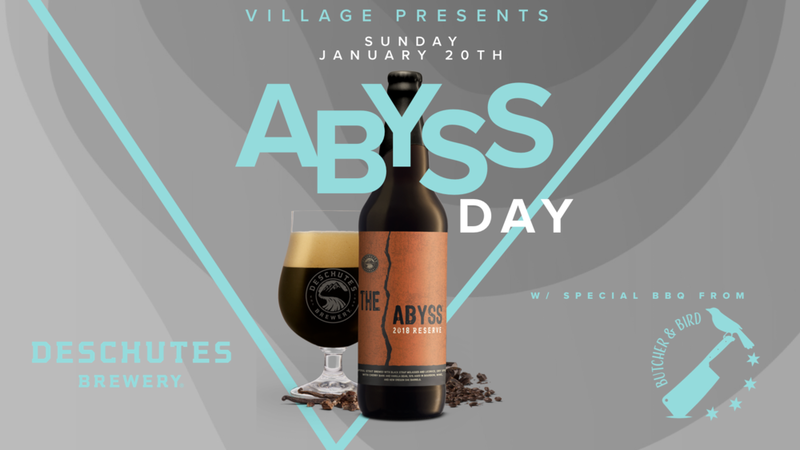 Join us this Thursday (2/14) at Village Bottle Shop & Tasting Room as we welcome Rogue Ales back with a love triangle that helped create Rolling Thunder Barrel Aged Imperial Stout. Rolling Thunder is one of the very few beers in the world that not only features brewery grown malt & hops, but is also aged in barrels that are made at Rogue and also used to age Rogue Dead Guy Whiskey. Truly an estate beer from start to finish. 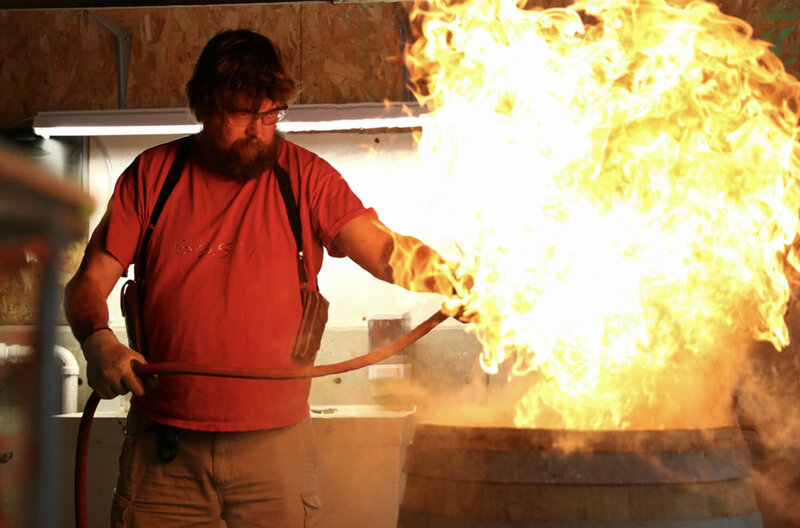 Did you know that Rogue built 115 barrels in 2018 with 12,650 lbs of Oregon oak? We’ll have Rolling Thunder on tap, paired with Dead Guy Whiskey and Dead Guy Ale. 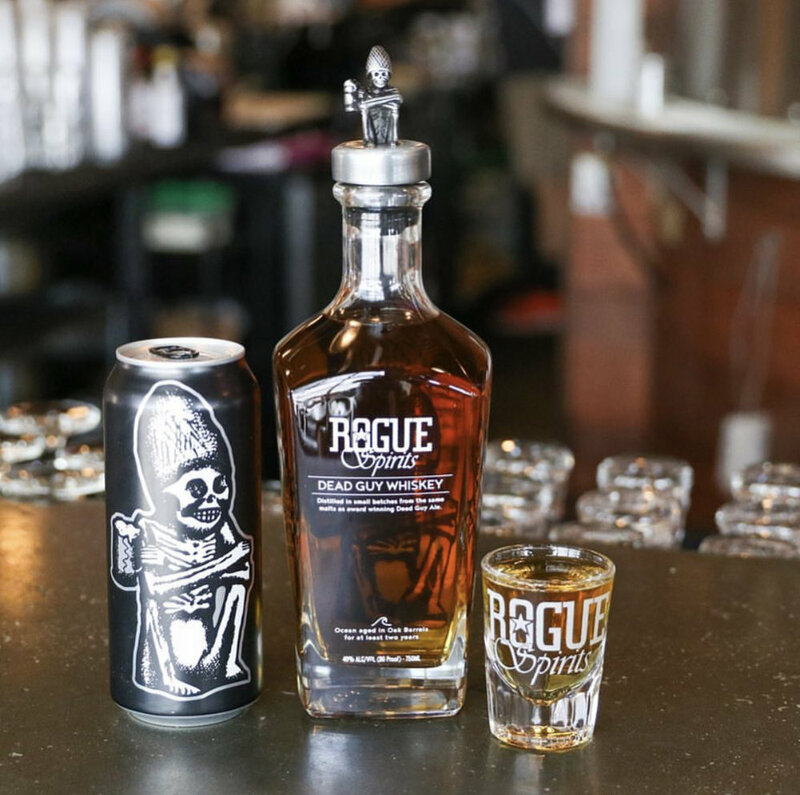 Bill from Rogue will be on hand to guide you through how Rogue creates these iconic drinks. It’s February which means Pow! Wow! Hawaii! is back in Kaka’ako. Dozens of the worlds best artist converge on our tiny neighborhood in Honolulu to paint new murals. Kick off will be Night Market on Saturday, February 9th starting at 6pm. 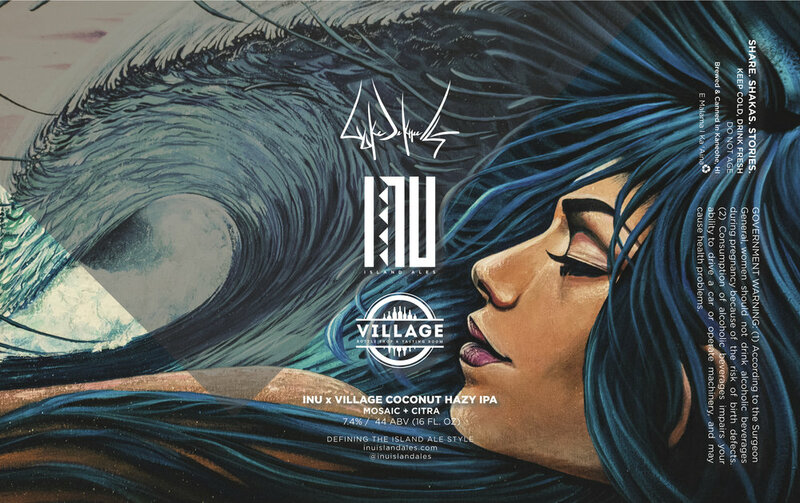 Village Bottle Shop & Tasting Room will be hosting a beer garden with the crew from Inu Island Ales. Lots of great beer, fantastic food and killer entertainment all night long. 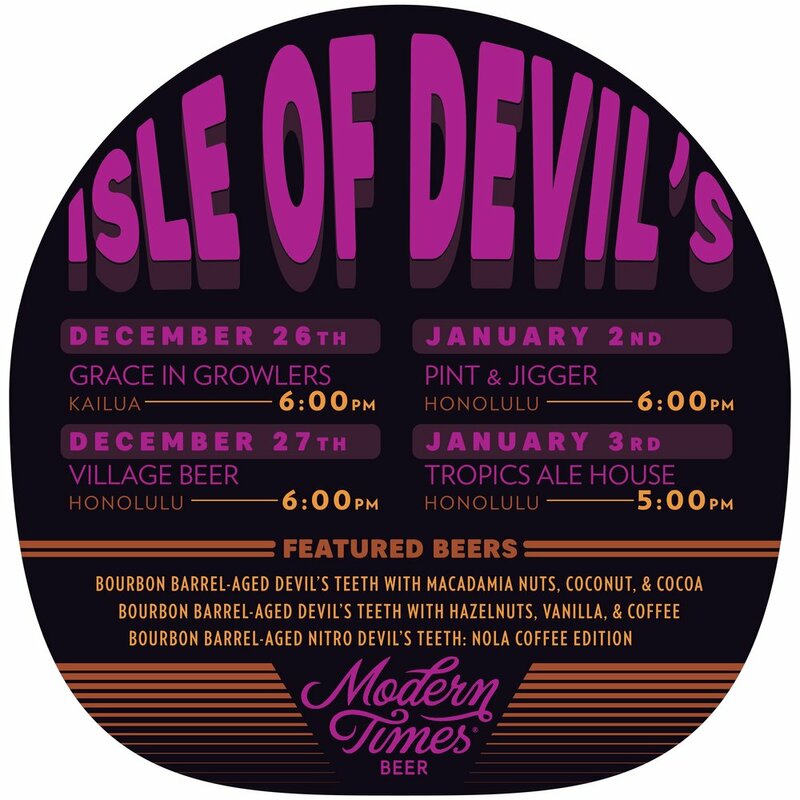 Swing by to have a few of Inu’s amazing beers and walk the streets of Kaka’ako. Beer Garden at Village will be open from 5pm - 11pm. Monday, December 10th - HPR Generation Listen - Join HPR Generation Listen for the third Trivia Nerd Night! Come alone or grab your buddies, besties, and your nerdiest glasses for a night of challenge! News and politics will be the theme of the night with all answers in the first round starting or ending with "H", second round "P", and third round "R." H-P-R trivia will test how faithfully you listen to your favorite public radio station. 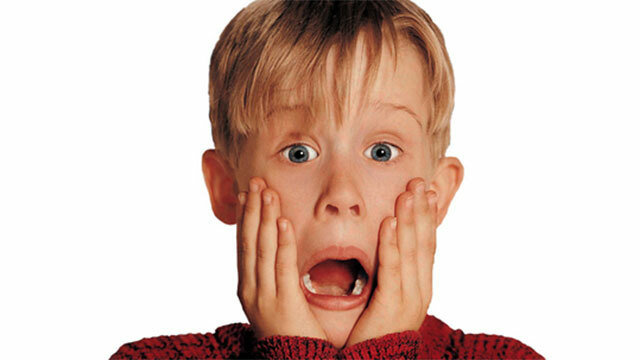 Monday, December 17th - Holiday Movies - We all know you’ve watched Home Alone, Elf and Love Actually 1,000 times so lets see how much you know about them. 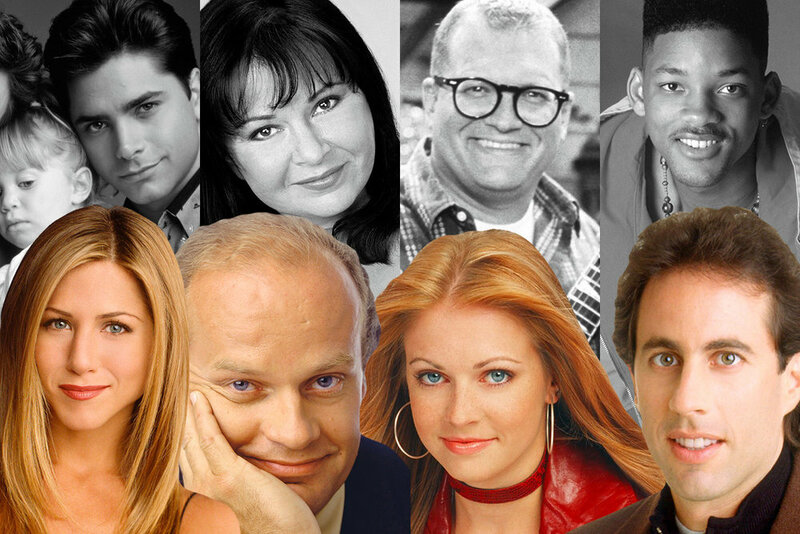 Make sure you start binge watching those classics! Monday, December 31st - Year In Review - What better way to kick off New Years Eve than with a round of trivia. It’s been a wild and crazy 2018, so lets see how much you remember about the eventful past 12 months! Hit trivia and then go party in the New Year.